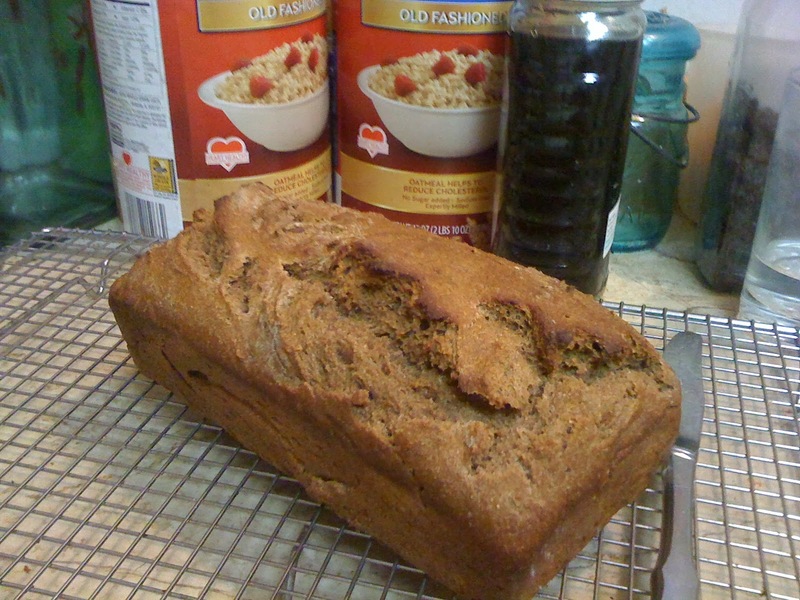 Remember the Martha Stewart brown bread that sounded too good to be true? It is not too good to be true! I tried it and it came out great. However. There is one change! You cannot mound the dough into a ball and put it on a baking sheet. That will not work! Trust me, I tried. It formed a ball at first but then kept pooling out into a disk. Instead pile the dough into a greased loaf pan and then you are in business. Up above is the finished product. It was really good that day and the next day. Tomorrow and tomorrow and tomorrow, as wrote Shakespeare, who enjoyed a slice or two of brown bread in his day. A great recipe for the busy Leonard Pennario biographer or for the busy anyone.